Fish wrapped in parchment always seems so fancy and usually tastes delicious. I tried my hand at it this week and must say it was pretty successful. 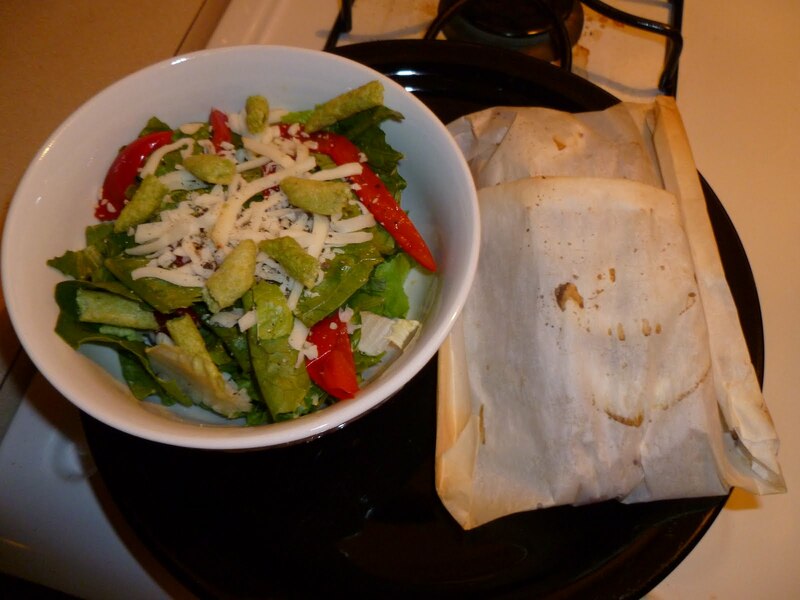 It is not as difficult as the presentation makes it look and the flavors all mingled so well it was great. I used zucchini, fennel and lemon along with grouper, but the vegetables and fish could easily be substituted for whatever you like or have on hand. Preheat oven to 500 degrees. Using a mandolin or sharp knife thinly slice the fennel, zucchini and lemon. 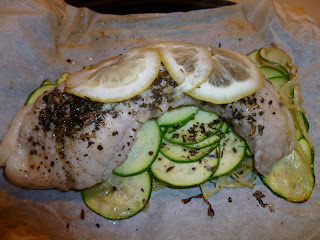 Pile the fennel and zucchini equally on each piece of parchment and drizzle with olive oil and salt and pepper. 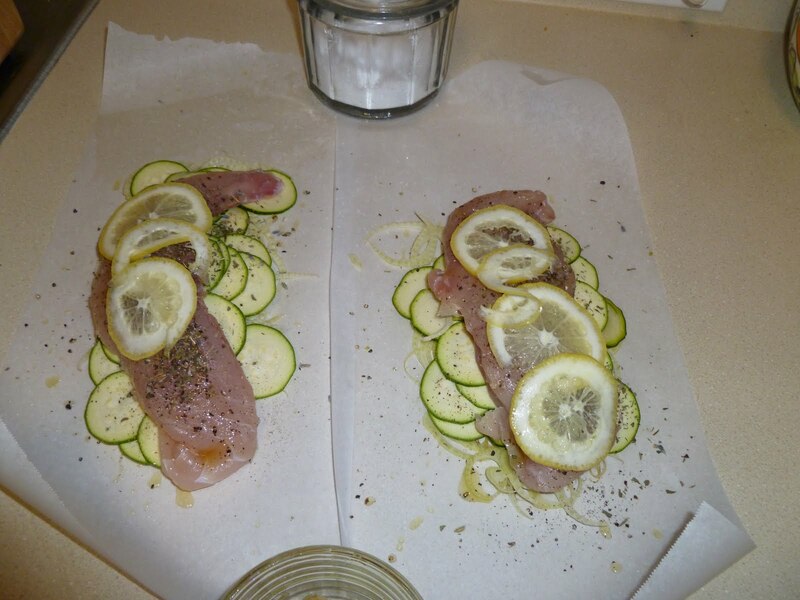 Place the fish filets on top of the vegetables, brush with olive oil and season with salt and pepper and put lemon slices on top. 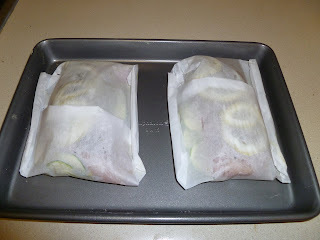 Fold the packages closed and place them on a cookie sheet. Bake for 9-10 minutes, let sit for 2-3 minutes before serving. Place the packages on the plate and let the diners open their own package so they get the whole experience of cutting it open and seeing the steam escape and smelling everything as it comes out! I read that it was easier to seal these packages if you cut the parchment into circles; I tried this and failed miserably. I say use whatever shape you are able to close! I paired the fish with a mixed green salad, topped with thinly slice roasted red peppers, baked snap peas (delicious!) and mozzarella cheese, it went together perfect! I urge you to make this recipe for someone special, it is very impressive, not overly complicated and very inexpensive. From my kitchen where I am pumped about the weekend!